This month Scarboro Missions celebrated its 100 year jubilee. Today we're sharing a few photos that the society's founder, Monsignor John Fraser sent to Cardinal McGuigan from Japan. 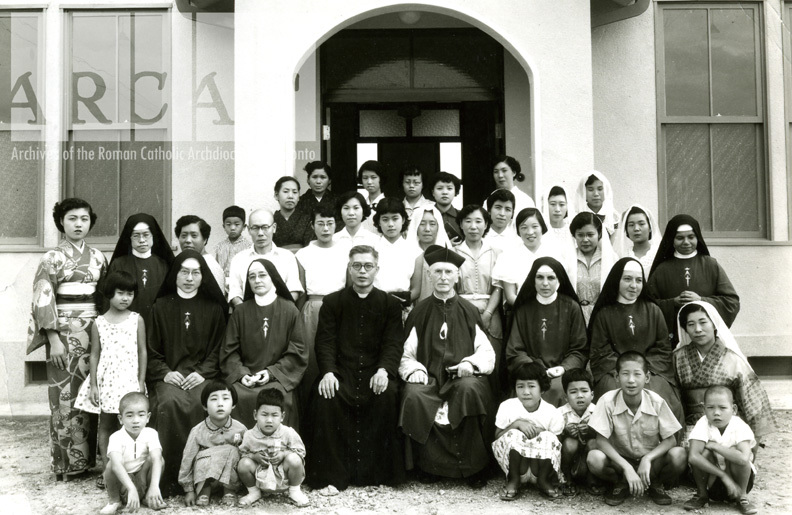 The group's original purpose was to train priests to send to China, but Catholic missionaries were expelled from that country at the end of the 1940s. Instead, Fraser accepted the task of rebuilding a church in Nagasaki, Japan that had been destroyed in 1945. 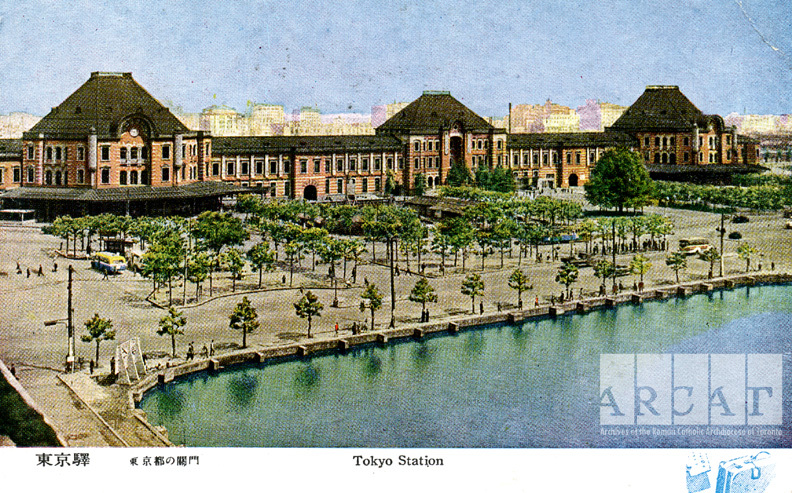 "After a pleasant journey across the Pacific I arrived in Japan today. In a few days I leave for Nagasaki, a two days' journey by train to begin the repairs on the bomb-blasted church. "Humbly in Xo J.M. 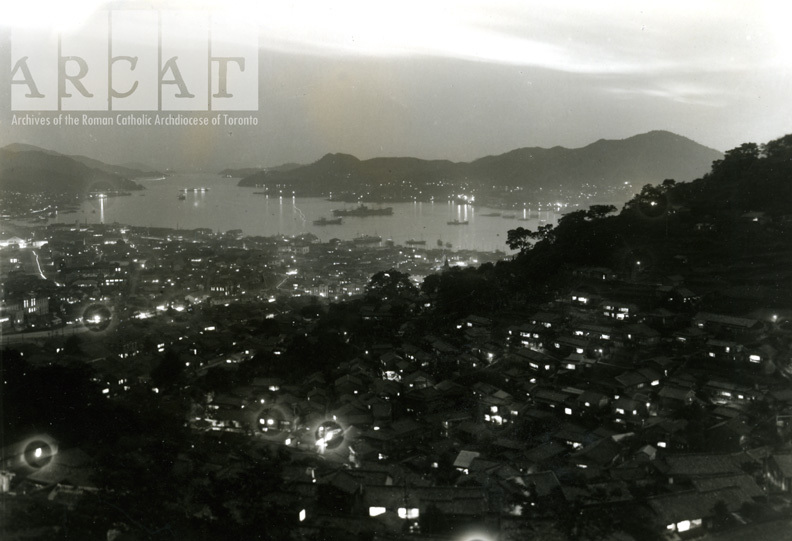 Fraser"
After arriving in Nagasaki, Fraser sent some souvenir photos of the recovering city and its harbour. 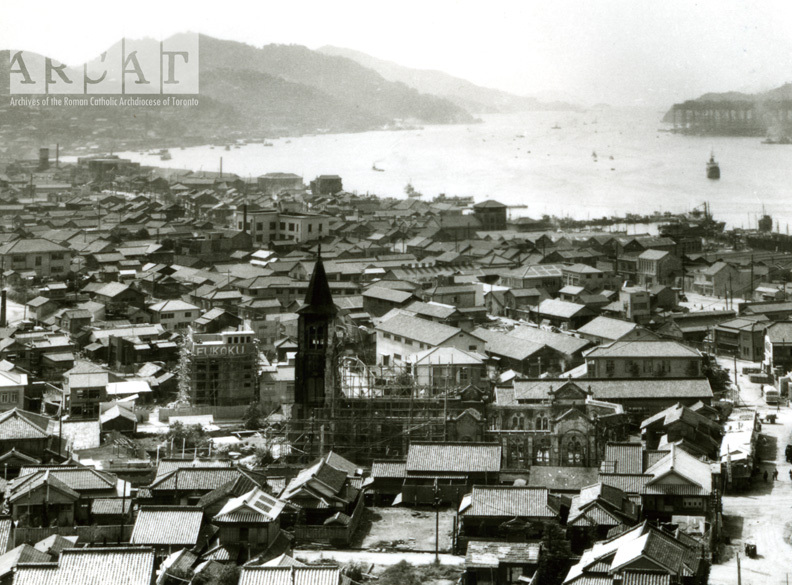 A 1950s panorama of Nagasaki. A closeup of the church that Monsignor Fraser helped to rebuild. Getty Images has a 1920s photo from the same perspective. Another shot of Nagasaki by night. Over the next few years, Monsignor Fraser built churches in Fukuoka and Osaka. Monsignor Fraser with parishioners at Mary Mother of God Church in Fukuoka, Japan. Monsignor Fraser spent his life dedicated to spreading the Good News, and that spirit endured through 100 years of the Scarboro Missions. In a sermon during a mass held to send of young missionaries he said, "It is consoling to see that in this age of materialism and religious indifferentism, there are still generous souls consecrating the best of themselves, not for temporal interests, nor for political reasons or personal endeavours, but to enlighten people in truth and justice and charity." May that spirit continue!